Remember the days when just having a front-facing camera was amazing? 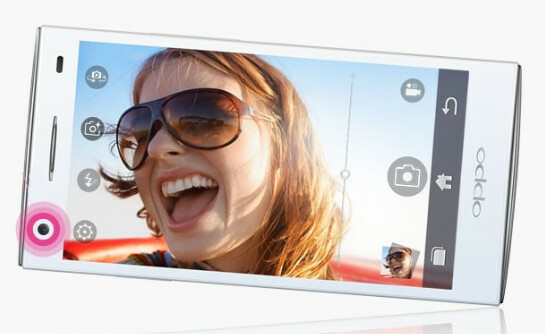 On Monday, the Oppo Ulike 2 was launched in China and the handset features a 5MP camera up front. The device is configured for TD-SCDMA, which means it will be found on China Mobile only, and is priced at CNY 2,298 which translates into about $370 USD. The Oppo Ulike 2 also has some camera filters that show you off in a better light, shall we say. These filters include one for face slimming and another for skin whitening. The rest of the specs that have been revealed include a 4.5 inch LCD screen with resolution of 540 x 960 (qHD) and the camera on back is 8MP. If you are in China, but not a customer of China Mobile, the good news is that a WCDMA model is apparently in the cards. There is no word if this model will be making it to the U.S., although filters that make you look thinner and provide a photographic "face-lift" might find favor with some Americans, the same ones who will love snapping self-portraits with the front-facing 5MP shooter. First comment up b*&es!!!! what is this article about again???? What's with the curved backs on newer devices? The Droid DNA has one, this has one, and there's a couple other devices that have leaked that have curved backs, and I don't like the curved back. It provides a solid and fuller(if that is a word) feel in the palm of your hands. Why dont you like curve backs? The HTC DNA feels GREAT in the hand. It makes a 5" phone feel manageable which is amazing. However I want it on a 4.7" device. reminds me of my lumia 920. the curved back conforms to the curve of your hand or fingers when holding the device. it feels more natural when holding it making it easier to hold than a flat back device. Reminds you??? since when is 920 a thing of the past??? But i like curved BACKS!!! Great, now i cant tak high res pics of my ugly face! Wait.. What? 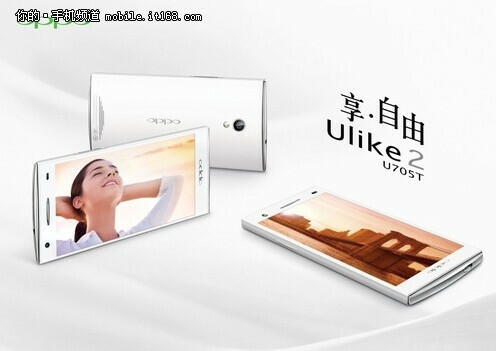 Oppo "ulike"? What kind of name is that? I can see a salesman in china saying to some customer "Oh, this phone ulike! ".